When patients haven’t been in for a really long time, it makes little sense to keep them in the system. While each state has different retention lengths, in NY, we must keep records for 7 years. So, at the beginning of each new year, we delete all of our patients that we are not legally required to retain. 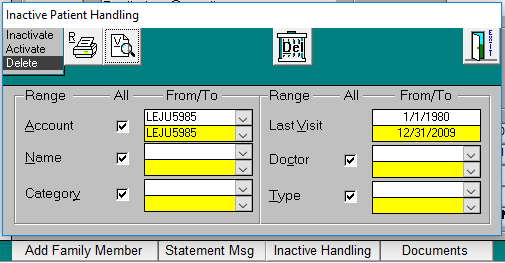 We do this from the Patient Data screen, in the inactive handling section as shown in the image shown above. 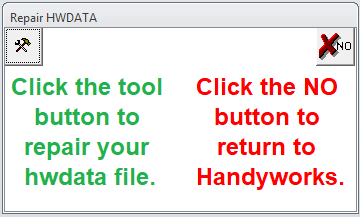 Once your dates are set, just press the DEL button. As usual, it’s a good idea to have a current backup prior to this process.